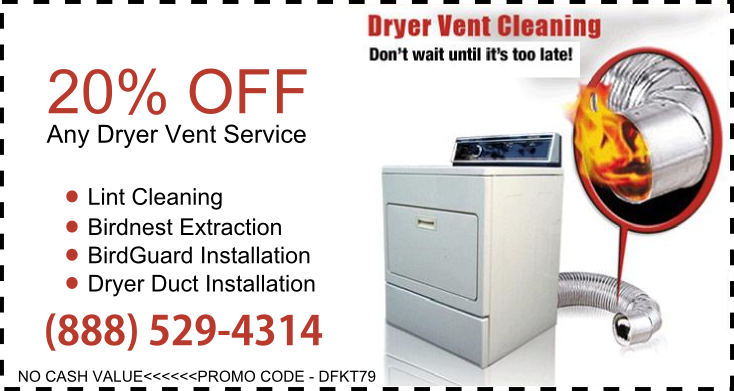 Dryer vent cleaning is essential for your home safety and budget. A yearly cleaning of your dryer duct will prevent from flammable lint from accumulating and clogging it, potentially causing a house fire or high utility bills. Print one of our unbeatable air duct cleaning coupons and save money instantly. Use for air duct cleaning or Dryer Vent cleaning in Maryland, Washington DC and Northern Virginia.